I’m at the point in my life where I pretty much have just about everything I need. Apparently, at least according to my family, this makes it difficult for them to figure out what to get me as a gift. 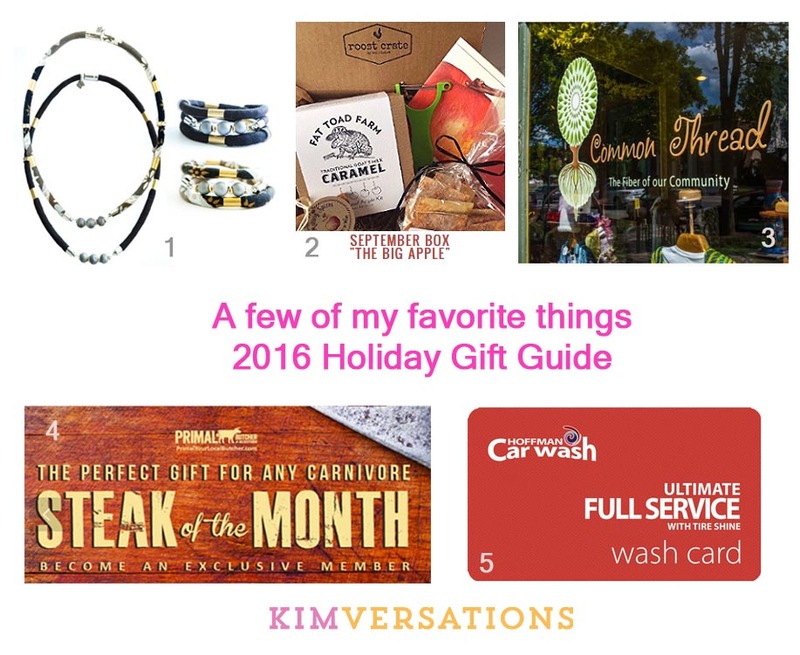 I figured I’d make it easy for them by putting together a 2016 Holiday Gift Guide. 3. Last year I took a class at my local yarn shop, Common Thread, and learned how to knit socks. I am completely obsessed with sock making. Hint: if you buy sock yarn for me kids, you’ll probably get a pair. Just sayin’. Or you can get me a gift certificate that can be used toward yarn. While we’re on the subject, if you’re thinking of taking up knitting or crocheting, USE GOOD YARN. Don’t make the mistake I made and get to know the folks at your local yarn shop. 5. The gift of a clean car is always appreciated. Hoffman Car Wash is located everywhere making it easy for me to keep my car clean and right now, they’re offering some great gift card deals. Check them out here, kids. I included some higher ticket items on my list because I figured family members could go in a a gift together. I also like the idea of getting something every month that I could share with the kids (like Roost Crate or Steak of the Month). This year the focus is on locally-owned businesses. Just a coincidence. I hope this list inspires you to check out some of these awesome businesses and gives you some ideas to share with those that think YOU are hard to shop for.